Mark Hughes says the Football Association of Wales have to "be careful" not to lose manager Chris Coleman after Euro 2016. Coleman's contract ends after the tournament, Wales' first major finals since the 1958 World Cup. Stoke City boss Hughes believes Wales' success under Coleman makes him a target for clubs. "The Welsh FA have to be careful they don't lose him because he's made a big impression," said Hughes. "There are a lot of clubs that will look at him and the work he's done and think that he could a similar job for them. "Chris will have a big decision himself whether he thinks he's getting the support that his success deserves so I'm sure the discussions are ongoing." Hughes managed Wales between 1999 and 2004, narrowly missing out on qualification for the 2004 European Championships after a play-off defeat to Russia. That followed a playing career which saw him make 72 appearances for his country. Coleman opened talks with the FAW over a new contract in March, but said the two parties were "apart" and that the talks "never went very far". The 45-year-old hopes to stay in charge for the bid to make the 2018 World Cup. The talks were put on hold while Coleman prepared his team for the friendly matches against Northern Ireland and Ukraine. "I hope everyone knows what it means to me to manage Wales and to do well in this tournament," said Coleman. "I am not thinking about the World Cup campaign and I'm not thinking about my contract." Hughes believes the 1-1 draw against Northern Ireland and 1-0 defeat in Ukraine are not accurate indicators of how Wales are likely to fare in France. Wales were without a number of key players in both games, including Real Madrid's Gareth Bale and Arsenal midfielder Aaron Ramsey. 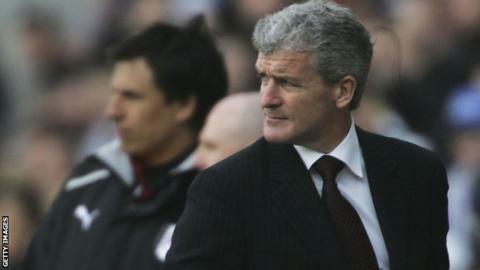 "The friendlies don't reflect what we hope Wales will be able to produce," added Hughes. "Obviously key personnel were unavailable for whatever reason, so I hope if we can get our best team out there then we'll have a good championship, but it's about making sure everybody's fit and raring to go when the kick-off comes. "I think Wales are a good side when everybody's fit and well and playing at the top of their level. "Wales on their day can test teams. Everyone's looking forward to it and it's going to be a great summer hopefully for Welsh football."